Chiefly for my own benefit – a list of Birketts ticked off, assuming a clean slate when I started this blog. Summits which are also Wainwrights in bold, on the assumption that the Wainwrights are a subset of the Birketts. 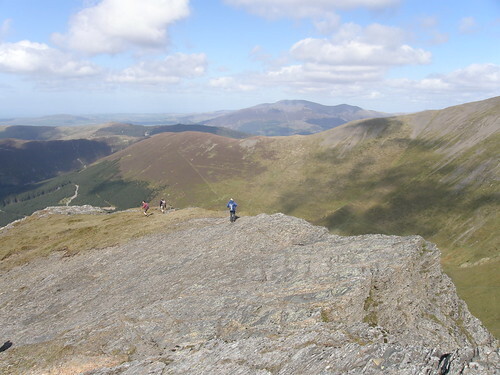 You asked on one post from Lanefoot Farm are there any Wainwrights that aren’t Birketts? The answer is yes. I’m just over half-way through the BIrketts having done 295 of them nd hoping to add to the list when we stop at Lanefoot in early July. hence how I found your blog. Castle Crag is too low to make it onto Birketts list and he doesn’t include Mungrisdale Common either. There may be others but I’ve not found them yet. As you may be aware another Birkett trick is to give fell tops different names to those allocated to them by Wainwright, High Rigg being one example. Thanks Angela – I hope you have a pleasant stay at Lanefoot farm. Impressive! I’ve been aware of and reading about Wainwright walks (http://en.wikipedia.org/wiki/Alfred_Wainwright) – I didn’t know about Birkett and birketts! (http://en.wikipedia.org/wiki/Bill_Birkett) but your post has me Googling and finding out! (I’m a newbie to this peaks business!) I’ve put the Wiki web addresses for any other readers who aren’t very familiar with these names.